Just a quick note to say Happy Thanksgiving from all of us at the Daily Turismo to all you readers out there. Stuff your face with turkey and stuffing; enjoy time with your family and take the day off surfing the web for cars. Tune in tomorrow for Bracq Friday. 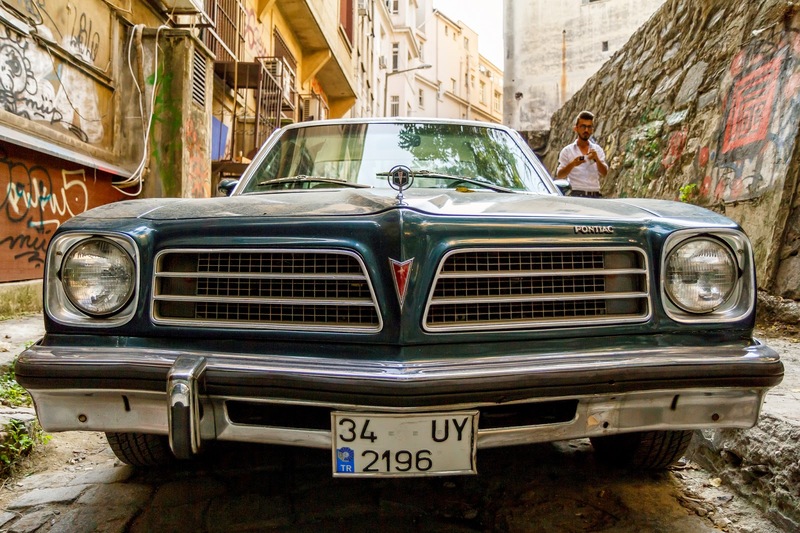 Enjoy a 1976 Pontiac Ventura, located in Turkey...because what would Thanksgiving be without Turkey? AMIRIGHT? Thank you, DT, for your hard work and dedication to the everyday enthusiast. Your site makes every day a little sweeter. Day off from searching cars? Unpossible! That Ventura even looks vaguely like it has a beak. Turkey, yum! Best wishes to the DT gang. (OK, I have to fake it cuz up here in the Great White Snow Belt, we did our Thanksgiving thing back when all y'all were celebrating Columbus Day). My Thanksgiving has been spent thus far cleaning up the shop. It might be a good idea to get the grease out of the fingernails before the relatives show up. It is, however, in the mid-70s and severe clear here, so I'll count my blessings. Forecast says we're in for a week or more of rain from tomorrow forward.